Like most of the world, I spent several days in a darkened room watching the news. I differed in that I was in a foreign country, surrounded by young people staying at a hostel. Eventually I emerged into the light of day with a headache. I needed centering and art has always settled me. 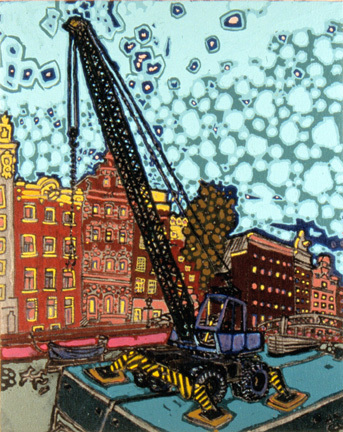 Here were my favorite things, boats, cranes and Amsterdam all in one spot!